who by strange coincidence, happen to agree with many industry sources. 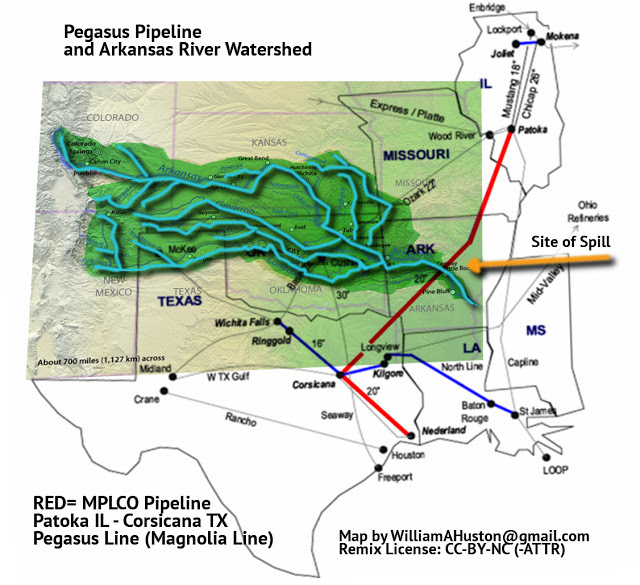 2: Several Major Cities downstream from this site. 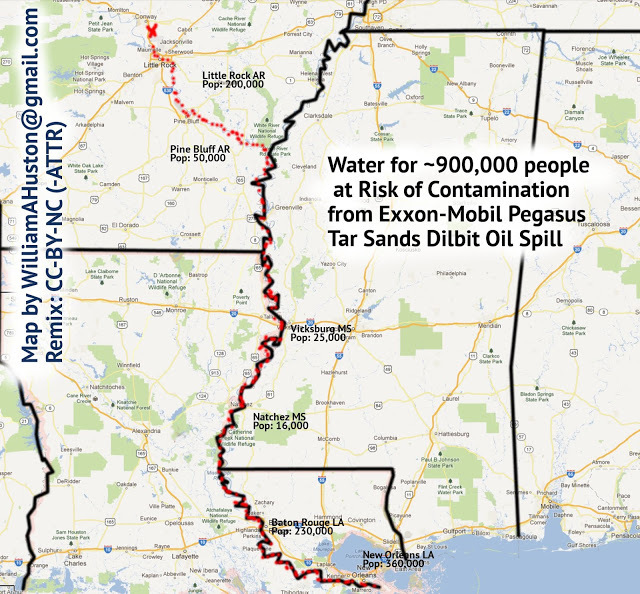 Drinking water for ~900,000 people may be at risk. 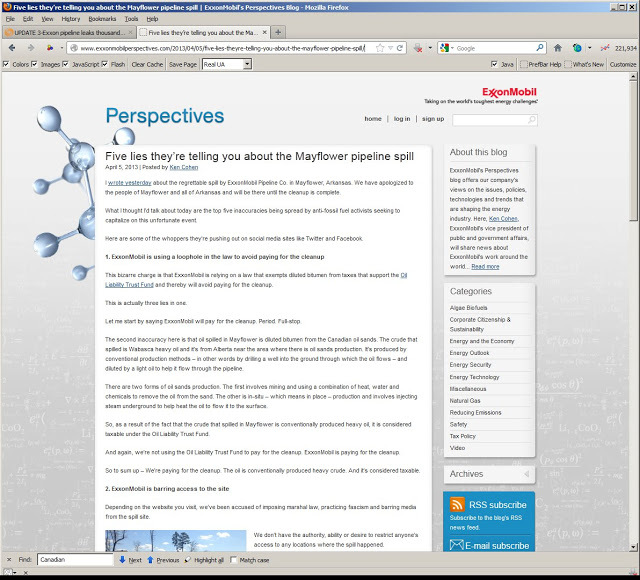 Please also see my prior post on the Mayflower ExxonMobil spill. ExxonMobil says the radical Anti-Fossil Fuel Activists are spreading LIES! 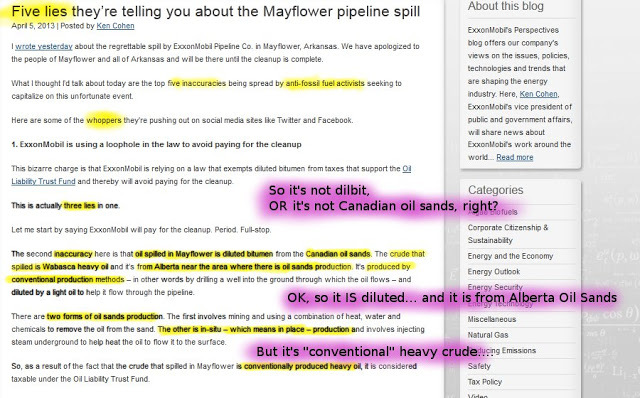 But even the Exxon Mobil PR person seems confused. 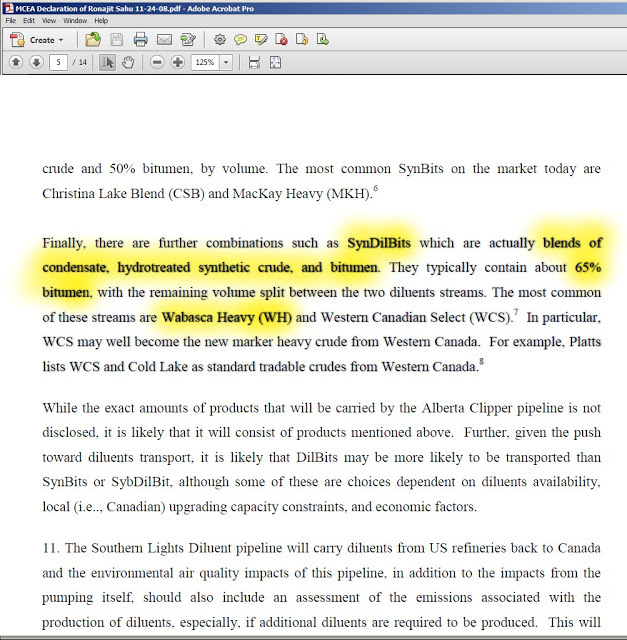 It’s a LIE that it’s Diluted Bitumen from Alberta Tar Sands!!! 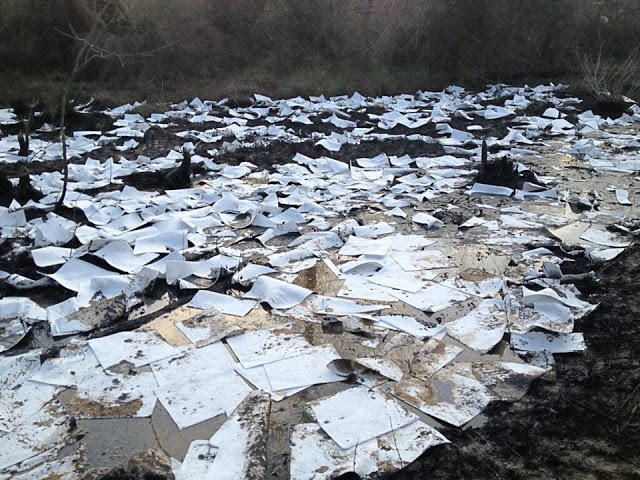 OK, it’s from NEAR the Tar Sands region. And it is Diluted. 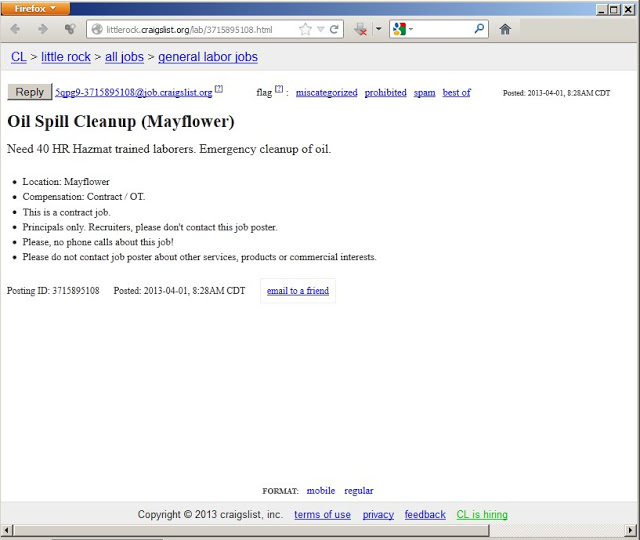 Well, OK it is from Tar Sands. 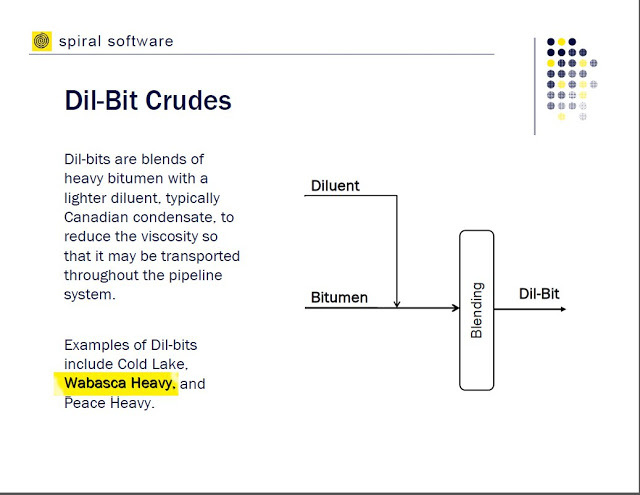 But it is CONVENTIONAL HEAVY CRUDE!! 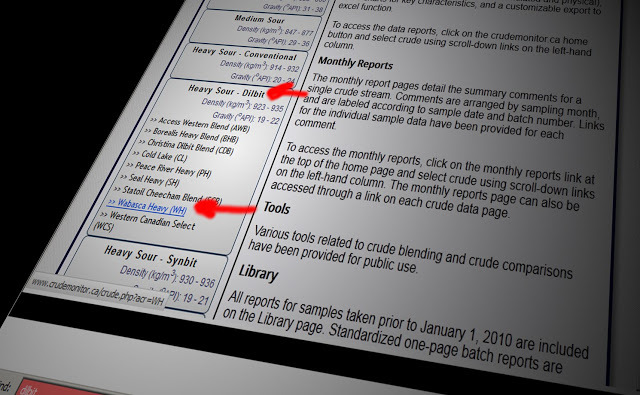 Crudemonitor.CA says nope: Wabasca Heavy is Dilbit. Maybe they’re radical tree-huggers. Maybe an Anti-fossil fuel radical? 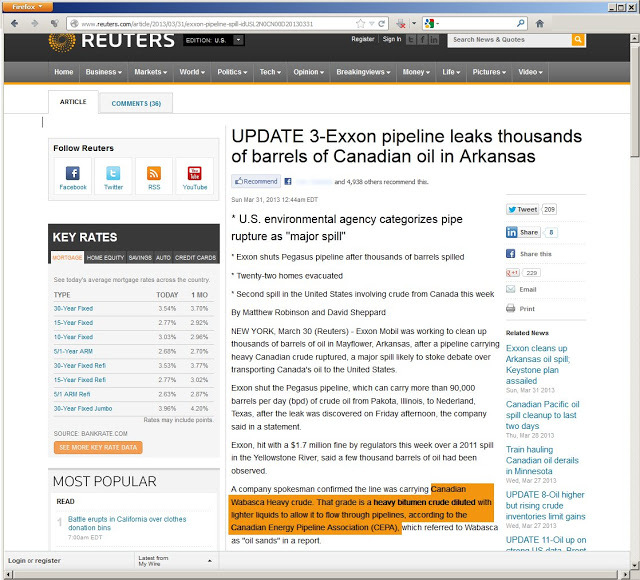 Maybe ExxonMobil is confused about who is lying…. Hey at least there will be JOBS!!! See also this article from Scientific American which discusses some other issues, including the corrosivity issue discussed on the ExxonMobil blog. 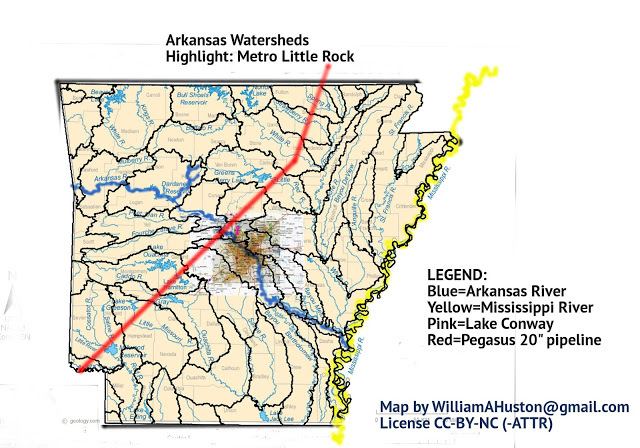 Arkansas Watersheds, highlight: metro Little Rock. an investment match made in H—- ??? — makers of Brawny Towels! made from GENUINE FRESH PULPED FORESTS and cured with CLEAN BURNING NATURAL GAS (from Dimock PA). G-P makes a good hedge on your ExxonMobil stock. 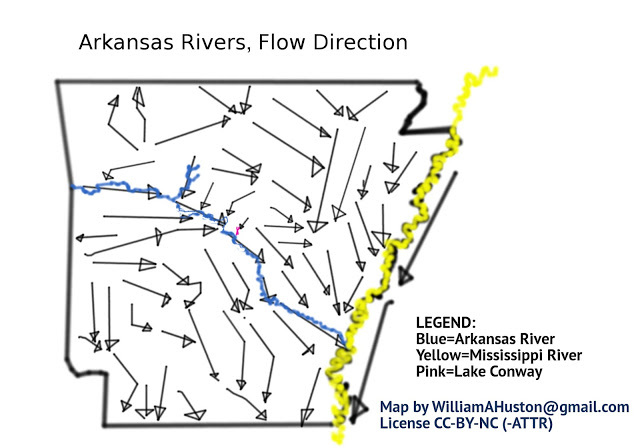 through Arkansas on the Internet. Painstakingly assembled from the NPMS Public Viewer. Please resuse any of my content under CC-BY-NC (with attribution). 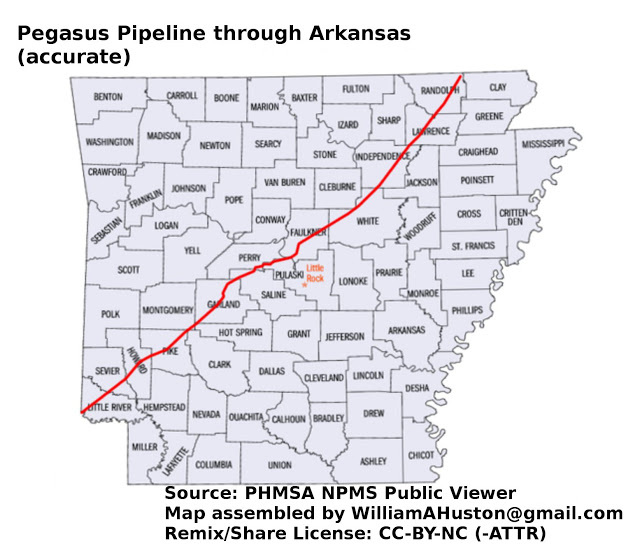 This entry was posted in corruption, history, information, news, true stories and tagged alec, arkansas, koch brothers, oil, oil spill, pegasus pipeline, pipeline, pollution, toxic on April 9, 2013 by demotropolis.